Paleontologists have discovered a new extinct species of the world’s biggest dinosaur group in Africa, but the skeleton tells a strange story. Titanosaurs are most often found in South America, although they have been uncovered all over the globe. Researchers dug up a fossil that was frozen in rock in southwestern Tanzania and dates back between 70 million and 100 million years, according to the National Science Foundation. The rare African dinosaur also has a strange family story: It was more closely related to dinosaur giants in South America than its continental friends. The skeleton, of a species that has been dubbed Shingopana songwensis, was found in rock from the Cretaceous Period. The scientists analyzed its vertebrae, ribs, the upper left arm and part of the left side of the pelvis to find that the creature “exhibits morphology indicating affinities” with South American titanosaurs from the Late Cretaceous, they wrote in the Journal of Vertebrate Paleontology. But it did not have as many features in common with African titanosaurs that lived during the same time or in the same place, suggesting that the African species of these enormous dinosaurs were a diverse group rather than one that all shared a single common ancestor. The continents were not always positioned the way we see them now. During the Cretaceous, Antarctica and Madagascar split off from the bottom of Africa and South America, which was previously connected to Africa in the west, gradually detached from south to north — meaning northern Africa and the creatures within it were attached to South America longer while southern Africa was isolated. That would explain the different relationships between titanosaurs in those three locations. The name Shingopana songwensis for the new discovery comes from Swahili and from the location where it was found, the foundation explained — “shingopana” is Swahili for “wide neck,” which describes the new dino, and it was uncovered in a region called Songwe. Titanosaurs are a group of the biggest dinosaurs ever discovered. They are all sauropods, a type of herbivorous dinosaur famous for having super long necks with small heads on the ends. Those long necks evolved for the same reason giraffes today have long necks: They helped the animals reach high foliage to eat. The sauropods also had long tails and thick bodies and legs like an elephant. The discovery adds another piece to the puzzle of African dinosaurs. That continent is not as well studied as others when it comes to prehistoric animals, so many of the finer details of its ecosystem are still a mystery. 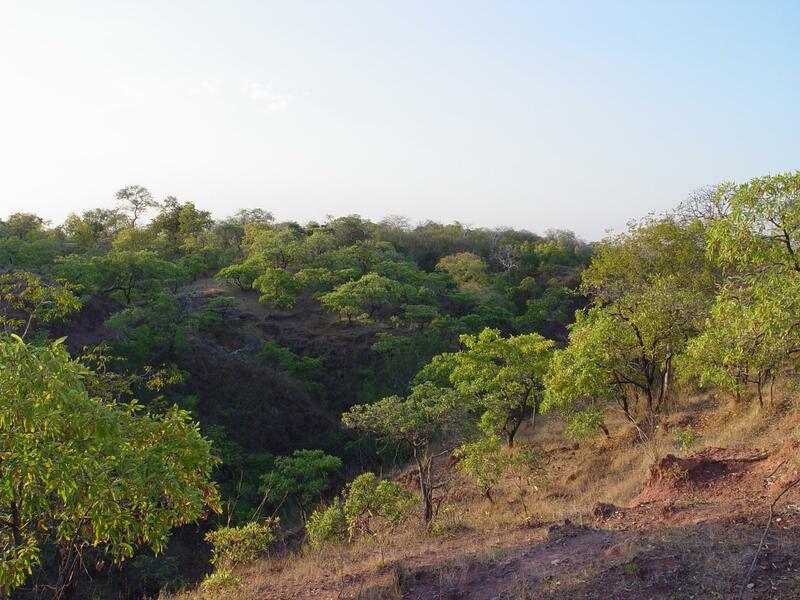 “We’re still only scratching the surface of understanding the diversity of organisms, and the environments in which they lived, on the African continent during the Late Cretaceous,” Ohio University researcher Patrick O'Connor said in the statement.